Made right here in Canada, this is a traditional (50's style) leather Rifle Sling. Using top quality leather, it has a wide shoulder strap for comfort and secure brass corby screw attachments. 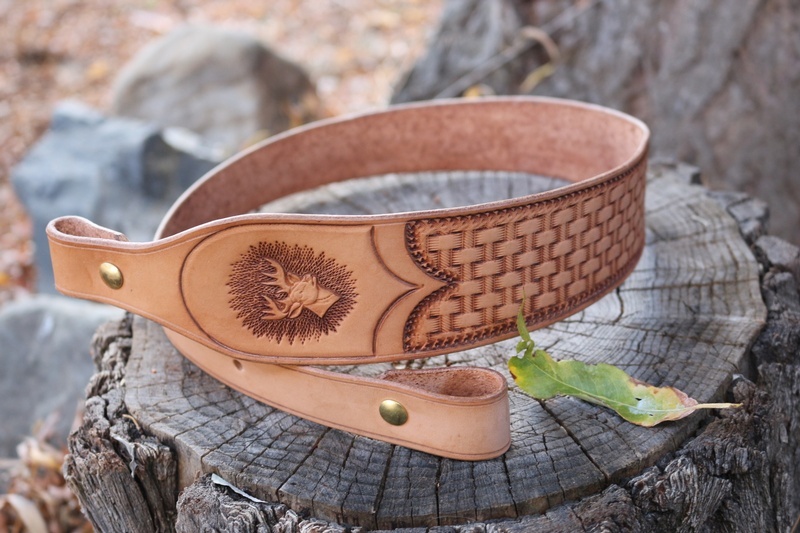 The leather is basket weave stamped and edge incised with Deer Head motif. Length..33in, has x3 adjustment holes. 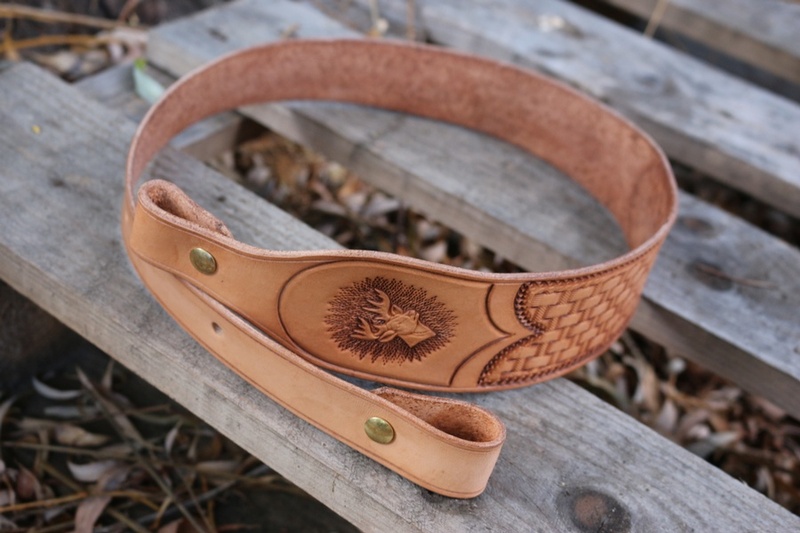 Purchase through PayPal by using the "Add To Cart" button above or use the form below to order the Canadian Made leather Rifle Sling Deer head . Feel free to contact us if you have any questions about the Canadian Made leather Rifle Sling Deer head .